With the arrival of Invisalign (clear removable aligners) as an orthodontic treatment option a few years ago, more general dentists have decided to offer orthodontic services to their patients rather than refer them to an orthodontic specialist for this care. It is important to understand the difference in training and experience between a general dentist and an orthodontist. A general dentist has completed four years of college education and four years of dental school. In dental school, most dentists have one or two classes about the basics of orthodontic treatment and may be able to treat a handful of very simple orthodontic cases probably with a retainer or similar simple orthodontic appliance. The total hours of orthodontic education is usually about 100 hours. 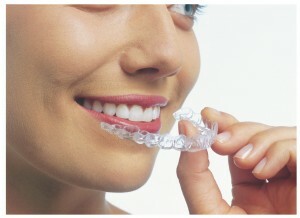 Once in practice, a dentist can choose to receive additional training for treatments like Invisalign. Invisalign offers day and weekend courses to teach dentists the basics of tooth movement, and they also offer online education. When a dentist attempts a first case with Invisalign, there is no clinical supervision by an orthodontic specialist other than the checking of the computer simulation of the treatment. Many dentists rely on the computer technician to plan the tooth movement because the dentist has not had the experience of planning an orthodontic case. If the Invisalign aligners fail to deliver the desired result, the dentist usually has no other way to help the patient get to the desired result. Most dentists do not have the equipment in their offices to offer even the basic standard of diagnostic care that all orthodontists are held accountable to in every case. Examples of this type of equipment are cephalometic or 3D x-ray machines that show the relationship of the teeth to the surrounding bone to help plan the proper placement of the teeth within the jaw structure. An orthodontist, on the other hand, first graduates as a fully qualified dentist then spends an additional two to three years in an accredited orthodontic residency program to learn about the biology and physics of tooth movement, facial development and growth, and jaw function. The residency program will offer 4,000 to 6,000 hours of additional education in these areas and the clinical experience of treating complex cases in the clinic under the supervision of orthodontic educators. Orthodontics is much more than just straightening teeth. The teeth can affect speech, airways, jaw function, eating, and overall comfort. Only an orthodontic specialist is uniquely qualified in the diagnosis, prevention, and treatment of orthodontic problems.